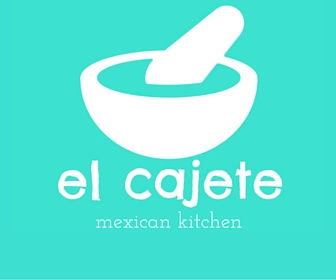 Located in the lake shore town of Michigan City, El Cajete is a family owned and operated casual Mexican restaurant. The Bernal Family opened El Cajete in 2012 and we have been serving authentic Mexican food made with love ever since. Mama Juana and her two sons Guillermo and Alfredo keep the restaurant running with even more help from extended family. Originally from Atlixco, Mexico, Juana's authentic recipes have been the backbone of our success. We strive to serve our community with fresh, delicious Mexican food with a smile. If you're headed to the lake or would rather hang out at home call us for take out! A pepper, stuffed with cheese and fried, served with your choice of red or green sauce. Grilled with onions, green peppers, tomato, mushrooms, and served sizzling! Served with rice, beans, sour cream, guacamole, and flour or corn tortillas. Your choice of ground beef, chicken, or pork wrapped in a flour tortilla with lettuce, tomato, cheese, rice, and beans, and topped with our creamy cheese sauce. Served with side of rice and beans. Grilled chicken breast topped with chorizo and covered with our creamy cheese sauce. Served with rice, beans, side salad, and flour or corn tortillas. A mixture of steak, chicken, and shrimp grilled with onions and green peppers, sizzling atop a bed of rice and smothered in our creamy cheese sauce. Served with your choice of flour or corn tortillas. A large tortilla folded in half and filled with your choice of chicken or steak, grilled with green peppers, onions, tomatoes, mushrooms, and plenty of melted chihuahua cheese. Served with small side salad. Served in a tortilla bowl with your choice of ground beef, chicken, or pork; beans, lettuce, tomato, cheese, guacamole, sour cream, and jalapenos. Your choice of grilled or crispy chicken served atop a bed of lettuce, tomato, green peppers, cucumbers, onions, carrots, and cheese. Served with your choice of dressing. A flour tortilla packed with refried beans, rice, lettuce, tomato and cheese, and covered in our creamy cheese sauce. Served with rice and beans. Filled with grilled tomato, green peppers, onions, mushrooms, broccoli, cauliflower, and cheese. Served with rice and beans.